Available in brown with black trim or black with brown trim. Includes tie lace. 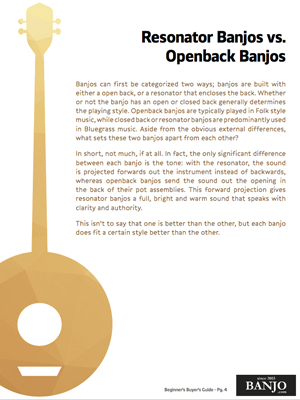 Note: does not fit AC- and Cripple Creek banjos.